The season has changed and the leaves are awesome this year. 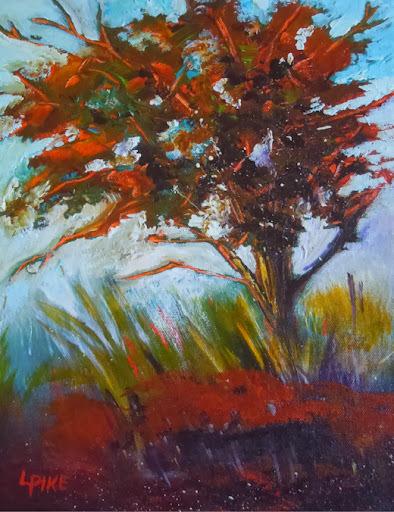 With every time of the day a different tree comes alive with glowing color. Colors I could not resist painting. I had an art studio tour a few weeks ago and thought I should hurry and do a couple of fall trees to display. These are two that I came up with. 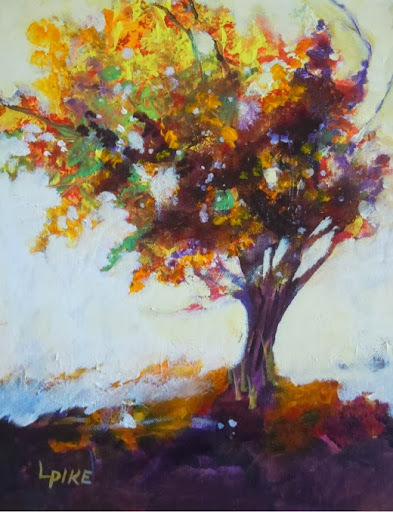 11x14 Acrylic on Canvas "Plum Tree"
11x14 Acrylic on Canvas "Fall Morning"
This Painting was done before the 2 trees above. 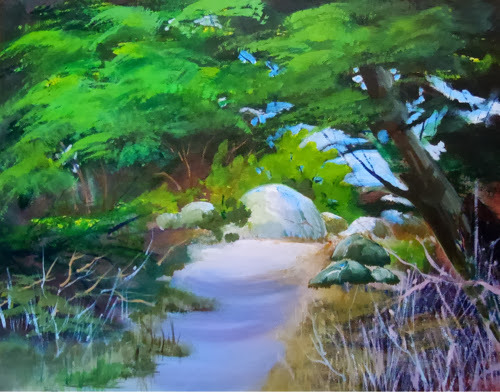 I did this in my studio working from a photo I took near Asilomar, Ca. 16x20 Acrylic on Canvas "Path to the Sea"